Regardless of the region you are living in, dry air makes your rooms uncomfortable, especially in winter. But, if you are prone to allergies, it becomes more than uncomfortable, even unbearable, and there you need best humidifiers for allergies. Why Air in Home Become Dry? Then, why does air heated at home or air at desert dry? 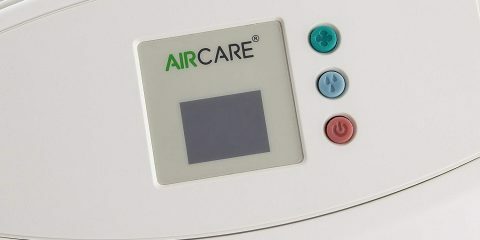 Why Dry Air is Bad for Allergies and Sinus Issues? How To Notice Dry Air That Can Cause Common Allergies? Do Humidifiers Really Help with Allergies and Sinus Problems? 2 common causes of dry air at your home are dry air from outside and use of HVAC inside the home. You have to face this whole year as you’re in desert or only in colder months when heater is on. Let’s look at scientific reasons behind. Air particles serves as other molecules, contracting when cool and expanding when hot. Like their size, they changes their ability to hold water, i.e. hot air store more water as compared to cold air. Desert is dry because area lacks required moisture for air to draw from. When this happens in your home’s air when it’s heated, it becomes little complicated. Heater works by drawing outside air in, heat it, and return it back to outside. You heat your home because it’s cold outside, therefore air pulled is also cold. As system heats this cold air, its molecules expand, however can’t pull in amounts of moisture required to fill these molecules. Longer your heat runs, more cycle you go through, noticeably decreasing moisture in air. In dry air, breathing becomes bad, however you might think why it’s worse for people suffering from allergies. Basically, it’s because of same effects which everyone else feels being amplified by allergies. Here are some ways how dry air harm allergy sufferers. Mucus membrane in your throat and nose is dried out by dry air. When dry your nose and throat aren’t as good as when they are moisturized. Mucus membrane prevent elements like bacteria, viruses, pollen, dust, mold, etc. entering our body or respiratory system while we breathe. When Mucus Membrane is too dry to prevent these elements, they enter in our respiratory system to trigger allergic reactions. Dry air aggravates sinuses that is where most allergic people feel these symptom the most. Mostly we breathe through nose, our sinuses are hit by dry air. Dry air dries out elements which trigger allergies, like pollen and dust mites when become dry they get lighter enough to be able to fly into our lungs through air. Allergies aren’t limited to respiratory functions, many can cause skin problems, and dry skin become worst. Buy a humidistat, a tool which measure humidity level. Other signs to look for are given below. Are you observing static electricity, like your hair standing after combing, clothes sticking with each other, or feeling or static shocks? Running nose for a while. Dry nasal passage needs to be moisturized by other means, like continuously running nose. Does your throat or mouth feel dry always? Dry air causes mucus membrane to lose moisture needed. Have been feeling Flu-ish, however never quite get full-blown one? Dry air trigger our allergy symptoms enough to let us feel under weather. Ever heard by your grandma, that you must buy humidifier when your nose become stuffy, or allergies acting up? Believe us, it isn’t on old wives tale. A humidifier helps you to restore some of the moisture in air that in return, directly affects how your nasal passage reacts. Allergies heightened by dust mites, die out as soon as humidity level drops, they thrive when there’s ton of moisture. Using humidifier, you are just welcoming them in, so to avoid dust mites, you need to keep humidity levels at optimum level. However make sure your skin, nose and body are not going to suffer further. As mentioned previously that optimal humidity level which your humidifier must be at is between 40 to 55 percent. Putting water into it, you must use demineralized or distilled water. Minerals in water makes the environment susceptible to bacteria growth and might show more white dust and additional irritation. For instant relief, introduce moisture in air. It doesn’t means to dunk your head into sink, however ensuring environment is moistened. 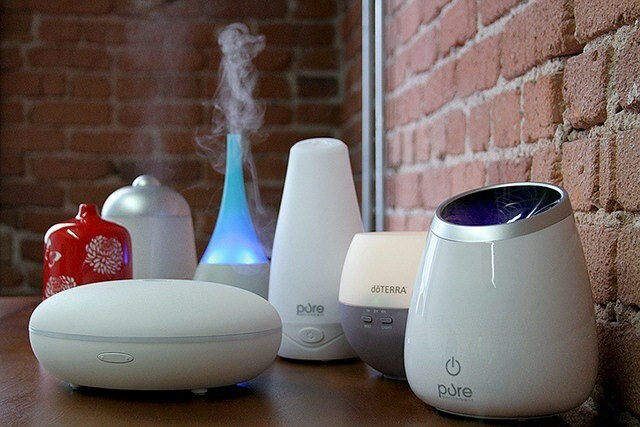 Let’s Review 5 Best Humidifiers for Allergies, with their merits and demerits. If you are looking for humidifier for your bedroom which is going to ensure a good night sleep and moistened air, TaoTronics is your thing. No matter you have forced-air room, or you lived in dry and cold climate, TaoTronics Cool Mist Humidifier is perfect choice. With simple to read LED panel and low noise, you will get optimal humidity levels always. It has a capacity of 4 liters, and include adjustable mist levels to give optimal usage. When there is no water, an automatic shut off and timer makes best experience possible. Lacks and option to fill essential oils or scent in it. Doesn’t double as product which can be utilized as scent diffuser. Next is an Amazon choice which comes with variable mist control and large reservoir. For larger rooms over 499 sq. ft. you can use of this soft night light and 1 gallon reservoir option. Automatic shut off is included for when water is gone, and several cleaning accessories. With few adjustments it can be also be made suitable for smaller rooms. It also offers soft night light in red, blue or green color to give you soothing ambience. Nightlights options – red, green and blue colors to give soothing and restful night sleep. 1-gallon reservoir for rooms over 499 feet as well as in smaller rooms. 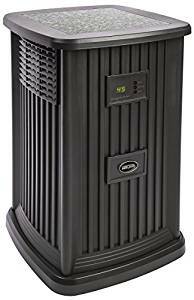 In what seems like a safe or space heater, AIRCARE EP9 800 Whole-House Humidifier is unique, aesthetically pleasing and offers evaporative humidifying feeling. You are able to utilize this in space of 2,400 sq. ft. With 9 different fan speeds, readout which ensures you are seeing actual humidity level, and programming options, no more substandard humidifiers. Not extremely simple to move, a 27 pound humidifier, you need someone else to help you. 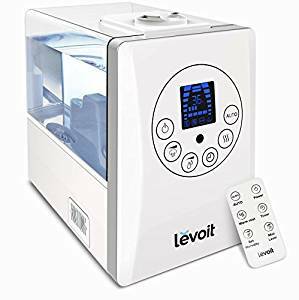 Need a sleek humidifier unit which is going to be able to moisturize most if not all rooms of your home, Get most out of Levoit Humidifier which is more precise with 6 liter reservoir. It is capable of both cool mist and warm mist. With auto shut down features you will have safer experiences and reduced allergies and sinus problems, when water runs out. Include remote control system as well as humidity monitoring to offer ease of use, especially with limited mobility. Auto-shut down for when water runs off. White and sleek design looks very futuristic. Need a super quiet cool mist humidifier for your baby room or bedroom? 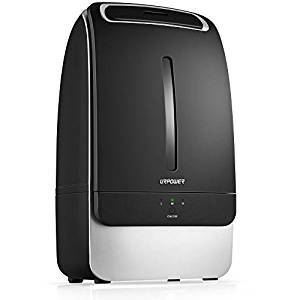 URPOWER is there, with adjustable mist mode, this is an Amazon choice which is inexpensive humidifier for your baby’s room as well as for all other types of rooms in your house. In this easy to use unit there is a safety function as well as sleep mode. Operational time is between 14 and 17 hrs. Does not allow essentials oils so it cannot be a good twofold device that can run as humidifier and aroma dispenser. 1. Evaporative Cool Mist humidifier – use of wet wick along with air blowing above it. 2. Impeller Cool Mist Humidifier – A rotating disc is utilized in order to propel mist. 3. 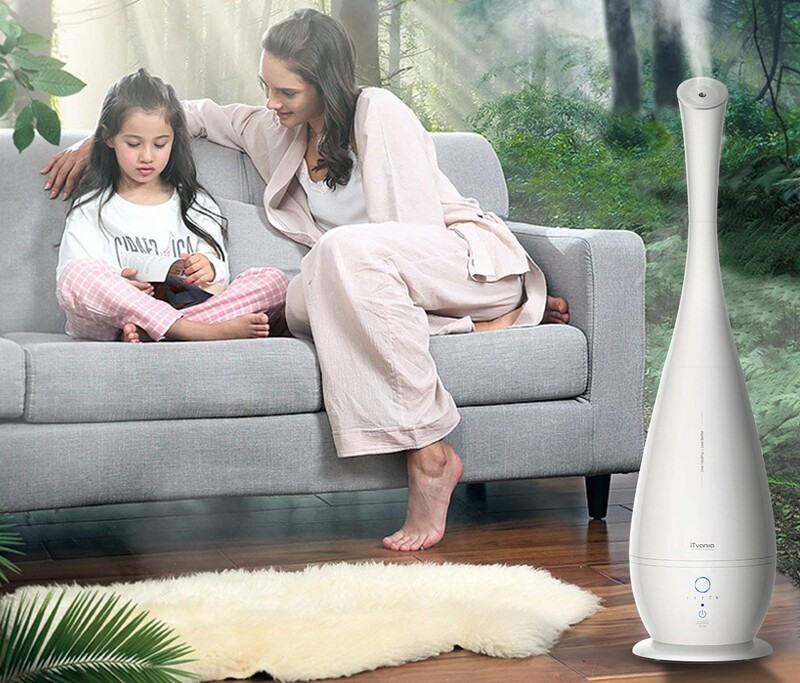 Ultrasonic Cool Mist Humidifier – a nebulizer vibrates in order to emit water in air. 4. 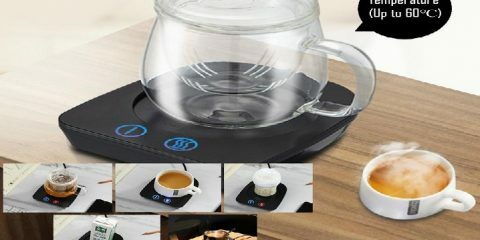 Steam vapor Cool mist humidifier – water is heated to higher temperatures and then released humidity. 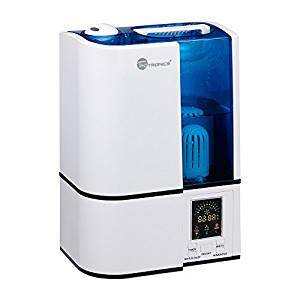 As soon as you have fine idea of types of humidifier which can work best to save you and your family from allergies and skin problems, you have to learn what different features to look for. This can help you find which models will be better for you. In fact, there are lots of things to consider, however we will only consider those with biggest effect on your health. Covered Area: Main objective is to cover a whole space where you want to be safe from allergies. If you want to save whole house from allergies go for best whole-house unit for allergies, if you need to save just single room, go for single room humidifier. For high ceilings and open spaces you must go with humidifiers which can cover more than your exact covered area. Ease of operation: No one likes to have a device which is complex to understand and difficult to manage. Just go with best humidifier for allergies which has sufficient function to achieve your goals, not like flying an airplane each time. Easy To Maintain: Maintenance is different for different types of humidifier. A whole-house unit need to be maintain anywhere between a month to a year, while single room units must be maintained daily. Remember you are bothering this because you need to save yourself from sinus issues and allergies, so filling or refilling the fresh water is must. Size is very important matter before you consider buying best humidifier for allergies. Here is a short guide for small size, medium size, large and extra large size of humidifiers and their respective covered area. 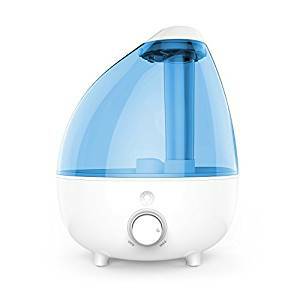 Small humidifier for allergies are best for rooms less than 300 sq. ft. Medium humidifiers for allergies and sinus issues are best rooms between 300- 499 sq. ft.
Large humidifiers for sinus problems and allergies are best for rooms or space from 500 to 1000 sq. ft. Extra Large units are those that goes beyond 1000 sq. ft., particularly for bigger homes of rich people or commercial space. 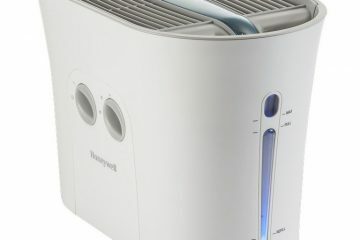 Closing of This Whole Review and Guide: Does Best Humidifier for Allergies Really Exist? If you are suffering from allergies, or you have sinus issues or if you are careful about your skin, don’t wait to see their symptoms. Rather find ways to cut down on those symptoms. One of these ways is using a best humidifier for allergies. You only need to buy one which will best suit you, your home and your family.